Media Create has published sales figures for the Japanese video game market (August 6 to August 12, 2018). First up, we take a look at how the newest Nintendo Switch titles have performed in Japan. 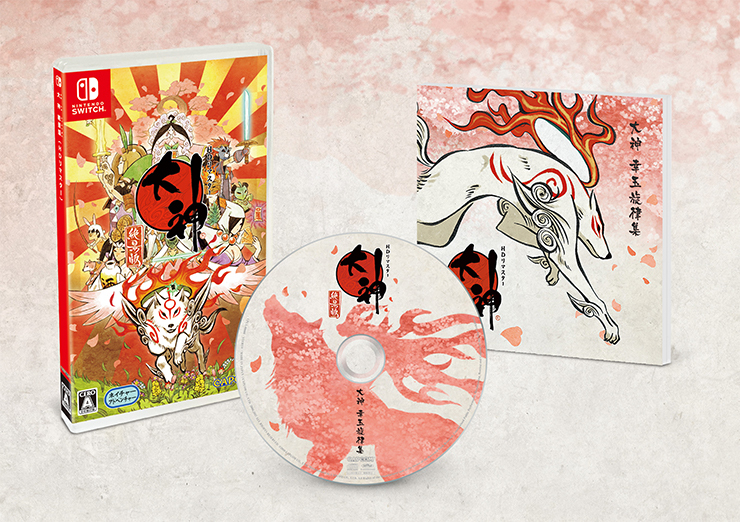 Okami HD debuted No. 11 on the charts with 14,089 copies sold. The figure includes the Limited Edition SKU. Layton’s Mystery Journey DX did not fare any better, opening at No. 15 and moving 9,704 copies. Jake Hunter Detective Story: Prism of Eyes failed to enter the charts, meaning to say it has sold below 6016 copies. Despite the less than average performance of all three titles, Splatoon 2 was the No. 2 bestselling game last week (21,630 units). Taiko no Tatsujin: Nintendo Switch Version followed behind closely at No. 3 (21,020 copies). As for hardware sales, Nintendo Switch continues to be the leading platform, taking 57.9% of market share last week (50,143 consoles).